The hippie morons who run Seattle strike again! City bureaucrats are meeting later this month to decide whether to ban beach bonfires. I’m looking at the weather page for Seattle. It’s currently 47 degrees. The “feels like” index is in the 30’s. And, of course, it’s overcast and drizzling. In June. Perfect fire weather, right? Not so fast. 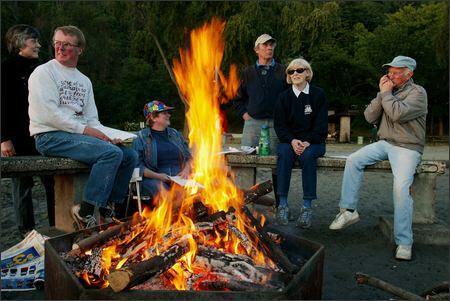 Seattle Parks and Recreation might do what even this week’s chilly weather couldn’t — douse the long tradition of beach bonfires. What a bunch of Communists! They’re actually thinking of banning bonfires to save the world from global warming. Jesus! And if you think NOBODY would be that stupid, think again. These are the same politicians that have already banned certain runs of the Seattle fairies because they feared the wake of the boats (which move less than 10 miles per hour) might cause beach erosion. By the way, any time you live in a city where you have to worry about running the “feels like” index in the paper every day in June ENOUGH with the fire banning. Here’s another example of why politicians are the filth of the world. The state of California has the biggest deficit in history. The state suffers from a multitude of political problems. With all the REAL problems facing Californians, their Assembly drew national ridicule last week by focusing on an imaginary one. Balloons. 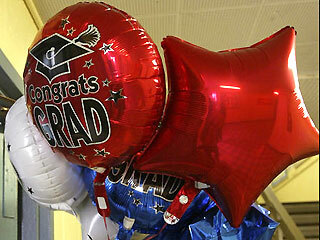 The California State Assembly came within five votes of making the sale of balloons ILLEGAL last week. The bill was introduced by now national laughingstock Jack Scott (D-Altadena.) Scott offered his bill after The City of Burbank testified that one out of every 8 electrical failures in Beautiful Downtown Burbank is caused by balloons. Under the bill, retailers would have been fined $100 for selling helium-filled balloons and could have even faced criminal misdemeanor charges for repeat offenses. Great! California is parolling murderers, rapists and drug dealers because they don’t have enough jail space and now they think it’s a good idea to criminally prosecute people who buy and sell brthday balloons. The bill failed in the Assembly last week but some proponents continue to work to get legislation reintroduced. I wonder if, by any chance, it’s the same politicians who take contributions from power companies. For whatever reason California utilities have targeted the sale of balloons. They say besides weather and equipment failures balloons account for the majority of their service interruptions. In an effort to get its citizens to “kick the habit,” Seattle mayor, Gary Nickels, signed an executive order last week banning bottled water. According to the Seattle Times, the City of Seattle currently spends about $58,000 a year on bottled water. Seattle isn’t the only major city to ban bottled water. San Francisco instituted a similar ban earlier and Chicago has a bottled water tax. Those all-over body sprays (like Tag and Axe) that promise to turn teenage boys into babe magnets? They might soon be banned in Minnesota schools. Lawmakers cite concerns over children with asthma as a reason to pass the new law. You are currently browsing the archives for the stupid laws category.